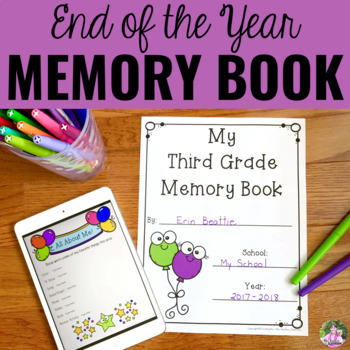 This Memory Book is the perfect set of end of the year activities for your students to cherish their memories of your class! Completely updated May, 2018! 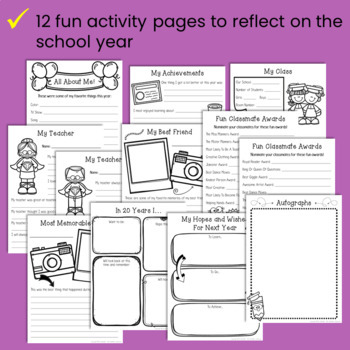 ⭐ Included are black & white pdf files with both US and Canadian spelling, full-color Google Slides pages with both US and Canadian spelling, a complete instruction packet for using this digital resource with your students, and a detailed manual for uploading this resource to the top education apps! 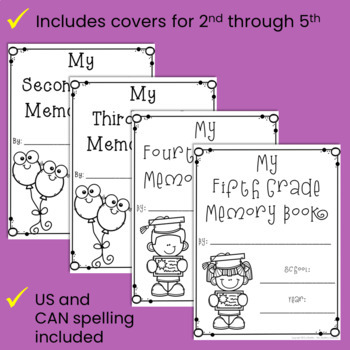 • Writing and Word Work Package for June and July - NO PREP!